If there ever was a day to eat green candy, St. Patrick's Day would be it. But is there something better than the banality of green candy swarming the streets on St. Patty's Day? 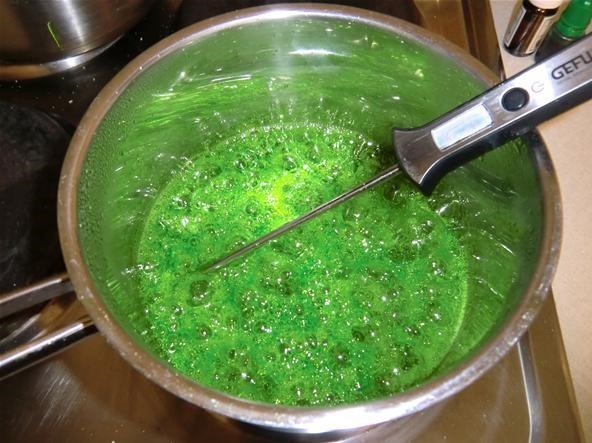 Yes—glowing green candy, and Instructables user BrittLiv wants us to show you how it's done. 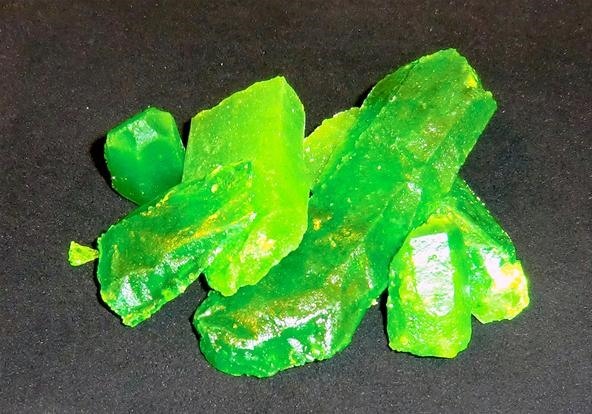 She puts her chemical engineering smarts to work for you with her glowing green candy, aptly named "kryptonite candy." If you're a Superman fan, you'll instantly recognize the resemblance to the fictitious glowing green mineral—Superman's own Achilles' heel. But one superhero's weakness is easily one leprechaun's strength, making this the perfect treat for any Irish party. I'm sure it would go nicely with your green Guinness. Slainte! She first experimented with fluorescein, a dark red fluorescence powder which is soluble in water and alcohol, but points out that it can have adverse reactions like nausea and vomiting, which is obviously something you shouldn't be putting in your food. 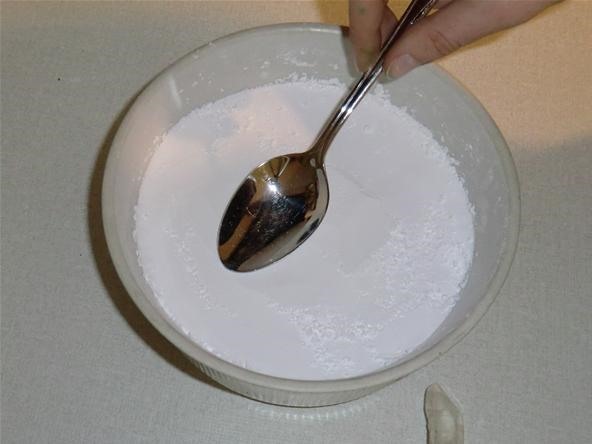 Next idea would be quinine, a bitter crystalline compound used in tonic water. 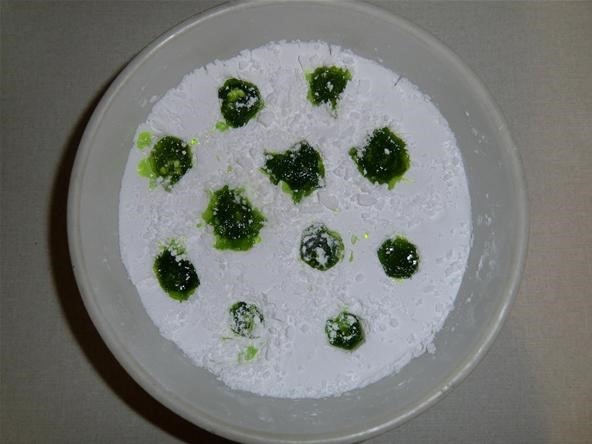 If you've seen glow-in-the-dark foods before, this is probably the phosphorescent substance being used. But for making homemade candy—it's not the right choice due to its melting point, which is too close to the temperature needed to make the candy. 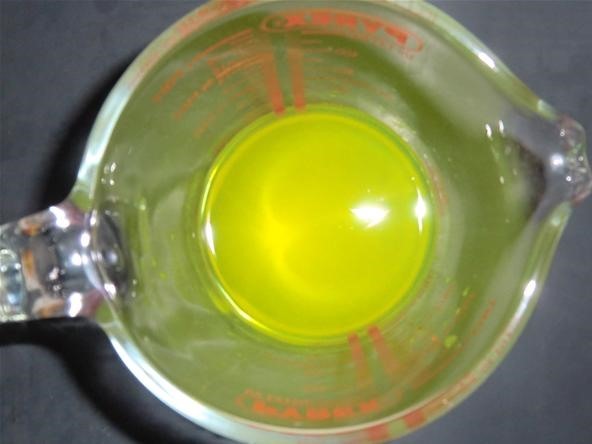 Therefore, the best food-grade chemical to use would be riboflavin, because of its high melting point. Riboflavin is non-toxic (a plus) and easily found in drugstores and supermarkets, under the name vitamin B2 or additive E101. Why riboflavin? Besides the high melting point, it fluorescents yellow under ultraviolet (UV) light, and even under direct light. 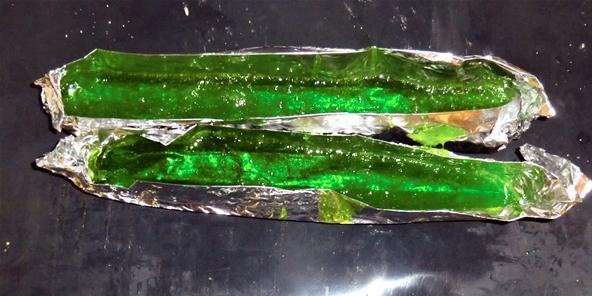 It is destroyed by light exposure, but the process is slow, so it doesn't really matter for this kryptonite candy. Only use vitamins labeled as B2. Do not use B or any mixed vitamins, and especially avoid B3 (niacin). Half of a vitamin B2 pill will be fine, but if you choose to use more, don't exceed 45 mg. It won't enhance the glowing effect anyway. Carefully flatten it with a spoon. 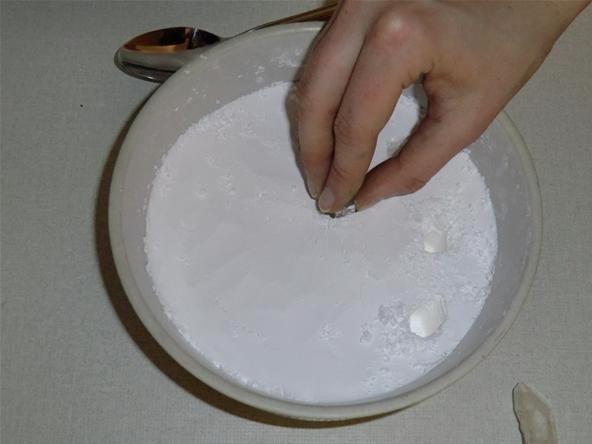 * Try using quartz crystals to make the mold, by pressing them into the powder sugar. 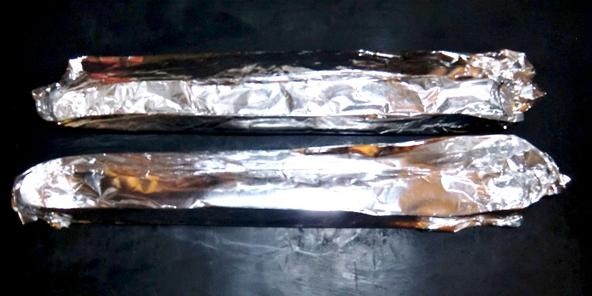 This is an easier method, where you simply crumple, then fold the foil to form, as shown in the following picture. Firstly, mix the vitamin B2 pill with 150 ml of water. Then, place on the stove and add the sugar. Slowly heat the mixture to a boil, while stirring. 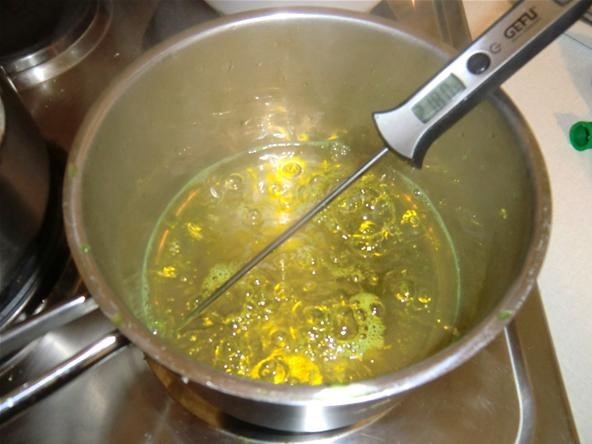 Let it cook until it reaches 300°F, then add the mint oil and food coloring, then proceed immediately to Step 3. 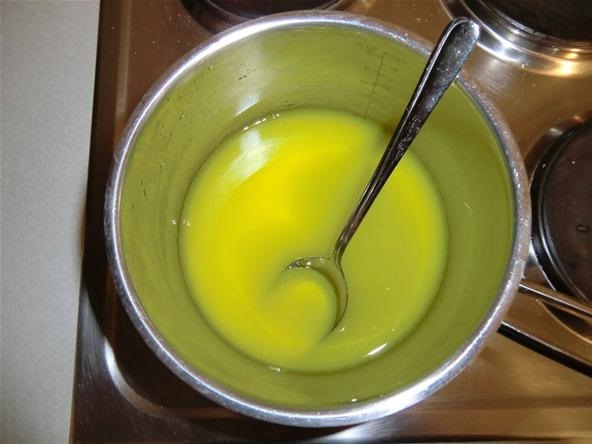 Cook the mixture in as little light as possible for a better glow effect. Remember, riboflavin is slowly destroyed by light, so the less you have the better, but with the amount you're working with, it won't make too big a difference. Now for the fun part—pour the sugar into the mold and let it harden. Before serving, make sure to get rid of all the sharp corners, because you can actually cut yourself pretty badly. BrittLiv states that she cut her thumb severely on it. Maybe it is really kryptonite! Thanks to BrittLiv for letting us use her article! Check out her original article on Instructables, along with her other ingenious work! This is so awesome! Is it safe for kids? I love the powdered sugar mold too - thanks for sharing just wanted to check on the kid safety thing before I made this - they would be so mad if they couldn't have any kryptonite! Also, do you think it would work if we made different colors? Read the 4th and 5th paragraph.